With superior fuel efficiency and the maximum torque of the state-of-the-art Kohler Diesel Engine, the H24d is an aggressive competitor in overall job time and cost savings. 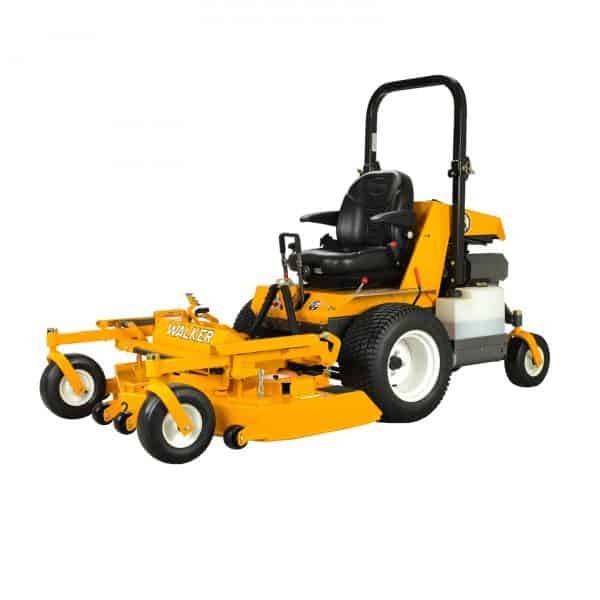 Price includes ROPS & 64″ Rear Discharge, please inquire about other options available. 1Tractor only, 2Tractor with R64″ deck. Rops folded. Three baffles and a set of low lift blades are all it takes to install a mulching kit into the DS60 deck. 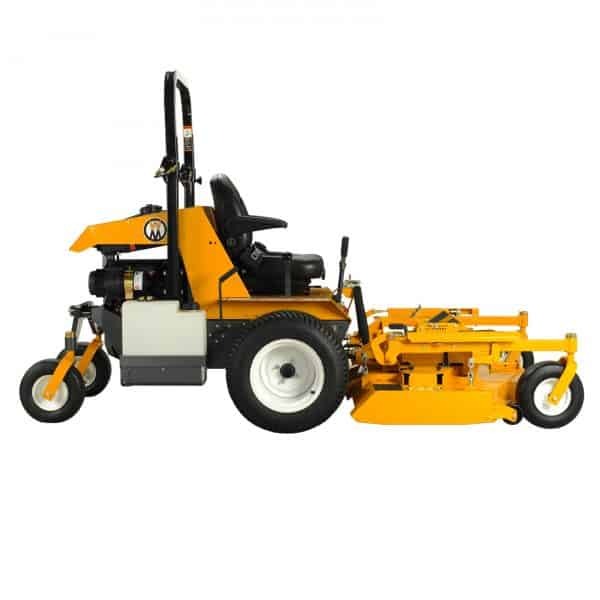 The low lift blades efficiently manicure the grass and help recirculate the cut material back into the turf. 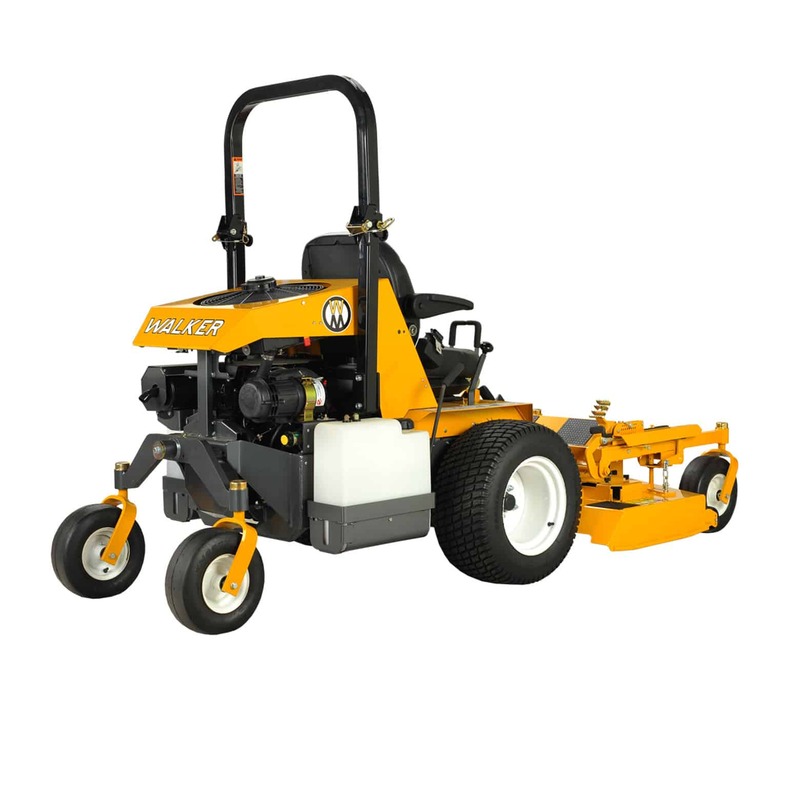 With the higher horsepower of the Model H tractors, this deck efficiently and cleanly cuts and mulches grass in a wide range of conditions. 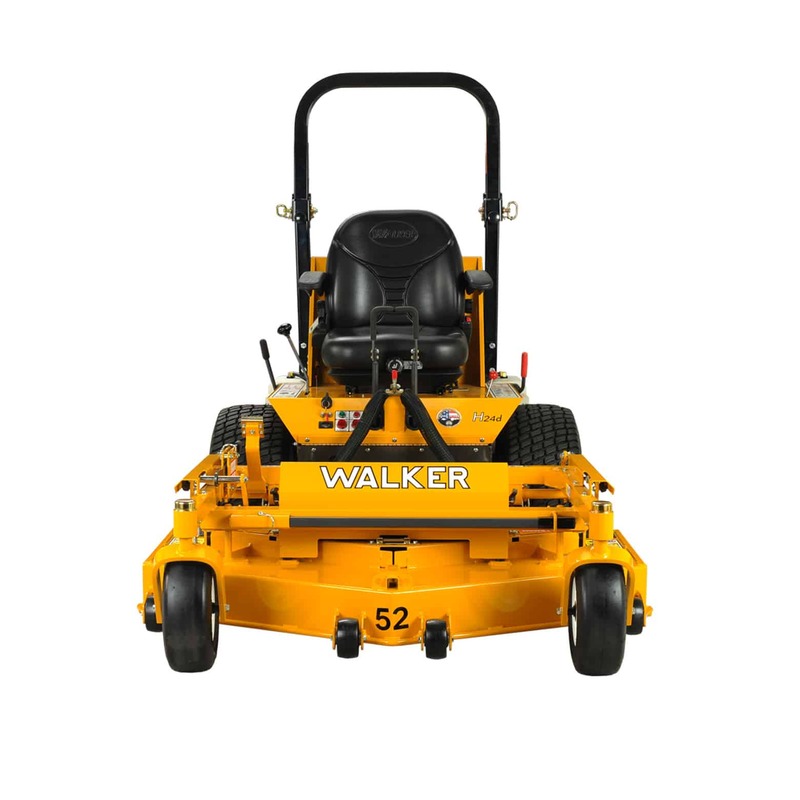 Walker’s largest deck and the largest deck in the industry for mid-size commercial mowers, the D74 uses a four-blade design with cast iron gearboxes. 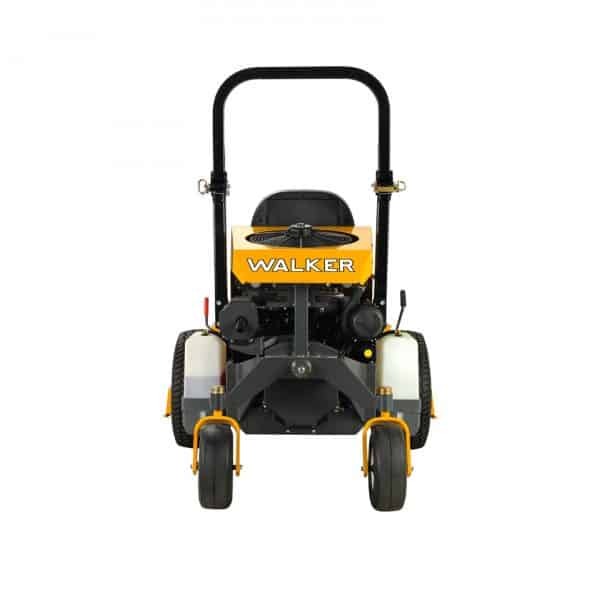 The combination of Walker’s full-floating deck suspension and rear gauge wheels help hold the contours of the terrain and prevent scalping. This deck is ideal for flat, open turf and is a favorite on athletic fields and parks. Standard with cast iron gearboxes. 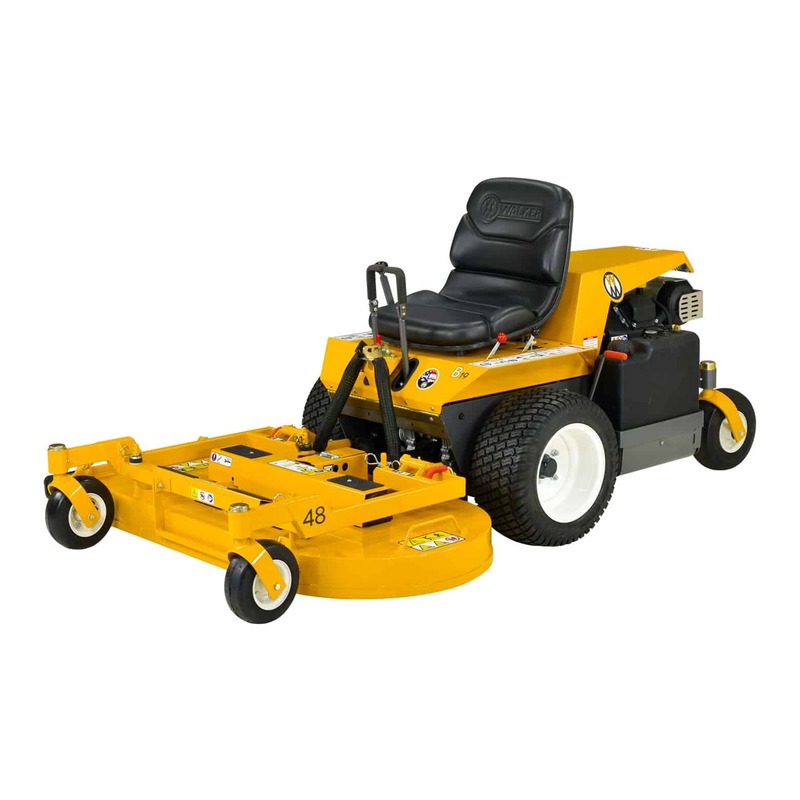 Designed for H-series tractors, the 52-inch rear discharge/mulch deck is ideal for high production mowing on finished turf as well as field mowing. Because of the ability to mow on both sides of this deck, compact mowing is also easily done with this deck. 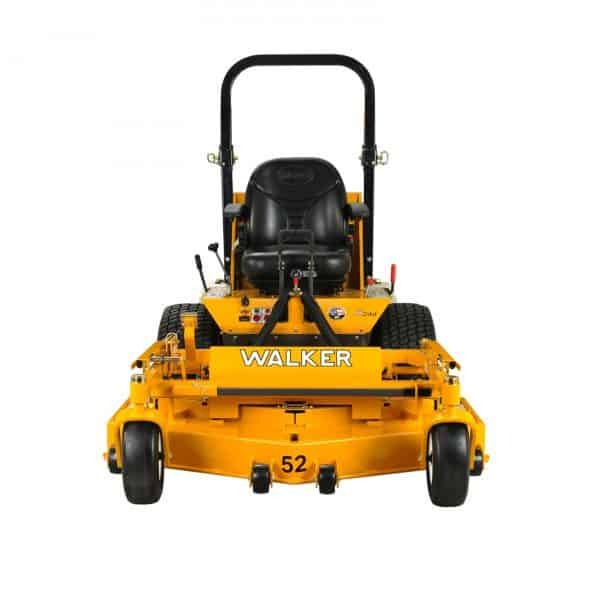 It is a favorite of facility managers because of its clean cut and ability to recirculate cut material back into the turf. 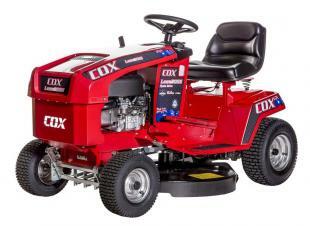 Coupled with the Model H, the DR64 provides high production mowing for mid to large size properties. 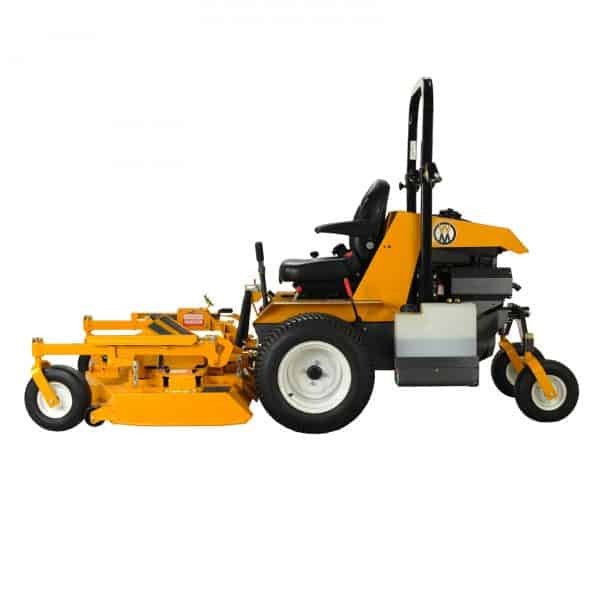 From municipalities and institutions, to commercial operators and homeowners, the DR64 improves bystander safety and operator cleanliness, provides beautiful results across many grass types and conditions, and functionality for the machine operator and mechanic. With two individual adjustable footrests, both tall and short operators can configure the footrests for all day comfort. 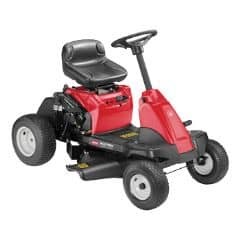 The out front design, along with the thoughtful and innovative engineering of the DR64, make this deck a valuable addition to any garage or mowing fleet.